Daniel joined O’Neill McFadden & Willett LLP as an Associate Attorney in January 2017. 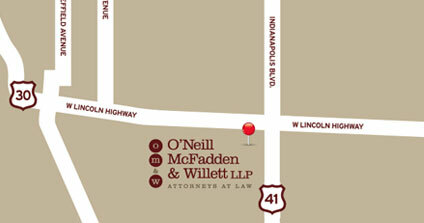 Daniel focuses his practice in litigation with emphasis on medical malpractice, personal injury, commercial matters, creditor collections, municipal law, zoning, landlord/tenant disputes, small claims, and product liability matters. Mr. Ford graduated with honors from St. Joseph’s College – Indiana, with a Bachelor of Science Degree and Minor in history, while being awarded membership into the National Criminal Justice Honor Society of Alpha Phi Sigma. During his undergrad tenure, Mr. Ford participated as a four (4) year scholarship letterman of the Men’s Varsity Soccer Team. Subsequent to graduation from St. Joseph’s College-Indiana, Mr. Ford graduated with a Juris Doctorate from the Valparaiso University School of Law. Mr. Ford participated in several extracurricular clubs and activities, including the Law School’s Mock Trial Team which competed in multiple national trial competitions across the Midwest. 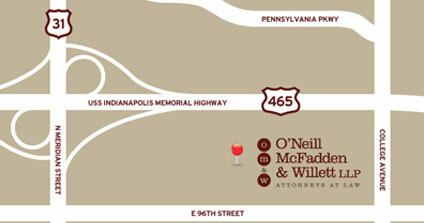 Daniel was admitted to practice law in the State of Indiana in 2011, as well as the United States Bankruptcy and District Courts for the Northern District of Indiana. 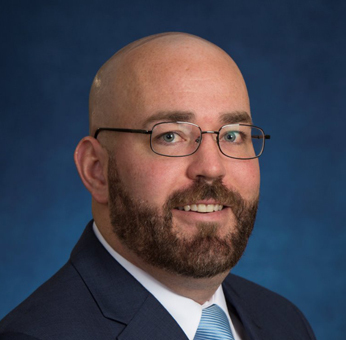 He is currently an active participant of both the Indiana State Bar Association and Lake County, Indiana Bar Associations, while serving as a member of the Lake County, Indiana Bar’s Municipal Law and Civil Litigation sections.